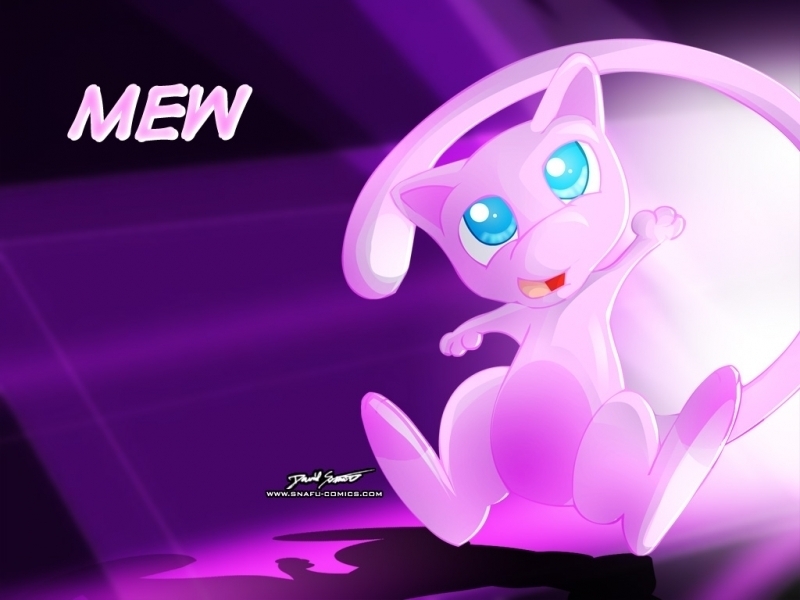 Mew. . HD Wallpaper and background images in the খ্যতিমান পোকেমন club tagged: legendary pokemon mew. It's kinda cute but I prefer the real mew it's cuter. In the movie mewtwo was created by team rocket. Mewtwo was evil but mew told mewtwo to not destroyed the pokemon world and be kind. After mewtwo did-not destroy the world and he went to be nice to pokemon.